Twenty Alpine does were used in this study to evaluate the effectiveness of cowside screening tests in detecting antibiotic residues in goat milk. 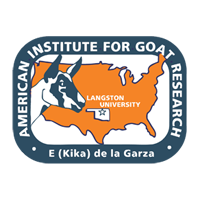 Ten goats received procaine penicillin G intramuscularly in the hind quarters (2 mL of drug preparation or 600,000 IU of procaine penicillin G). The remaining ten were treated with cephapirin sodium (200 mg cephapirin activity), 5 mL in each udder half (10 mL total) via intramammary infusion. Milk samples were collected during the evening milking before drug treatment (control) and, subsequently, every 24 h after treatment until antibiotic residue tests were negtive. This experiment was repeated at four different stages of lactation. Delvotest P, Penzyme test and Bacillus sterothermophilus var. calidolactis disk assay (BsDA) were performed to screen all samples. Using BsDA results as standard references, the Penzyme test did not show any false-positive results in any samples from does treated with either penicillin G or cephapirin. The Delvotest P yielded approximately 7% false-positive results among milk samples at 48 h and 72 h sampling after penicillin G treatment and at 96 h sampling after cephapirin treatment. In contrast to cow milk, the increased somatic cell counts of goat milk did not elevate the false-positive results of Delvotest P. The results of this study indicated that the withholding time of milk not to be used for food was to be 72 h (six milkings) for penicillin G and 120 h (ten milkings) for cephapirin. The Penzyme test can be used as a goatside test because of its high sensitivity and specificity, and its quick results (20-25 min).